Introducing a wide range of new highlights in technology, Porsche is raising the sportiness, efficiency and environmental compatibility of the classic rear-engined 911 to an even higher level than before. The all-new power units in the 911 Carrera models with their 3.6-litre and the 911 Carrera S versions with their 3.8-litre power units come with direct gasoline injection and are even available as an option with Porsche’s new double-clutch transmission (PDK). The flat-six power units featuring direct fuel injection develop 345 bhp (254 kW), that is 20 bhp more than before, in the 3.6-litre version. Output of the 3.8-litre power unit in the S-models is up by 30 to 385 bhp (283 kW), pushing the extra-powerful S-version beyond the magic speed barrier of 300 km/h or 186 mph. Despite this supreme power and performance, the new models in the 911 range once again boast a significant reduction of fuel consumption, the 911 Carrera Coupé with manual gearbox making do with an average of just 10.3 litres/100 km (equal to 27.4 mpg imp), the PDK version offering even greater fuel economy with average fuel consumption of just 9.8 litres/100 km, equal to 28.8 mpg imp (combined overall fuel consumption to the EU5 standard). The new Carrera models are Porsche’s first sports cars for the road to feature the Porsche double-clutch transmission (PDK). Having introduced the PDK transmission in motorsport more than 20 years ago, Porsche has been acknowledged ever since as the pioneer of this outstanding technology. The double-clutch transmission in Porsche’s new sports cars comes with seven gears shifting electrohydraulically without the slightest interruption of traction, power and pulling force. Hence, the brand-new transmission combines the benefits of a manual gearbox with those of an automatic transmission, ensuring the outstanding dynamic performance of a thoroughbred sports car together with superior gearshift comfort and fuel economy. 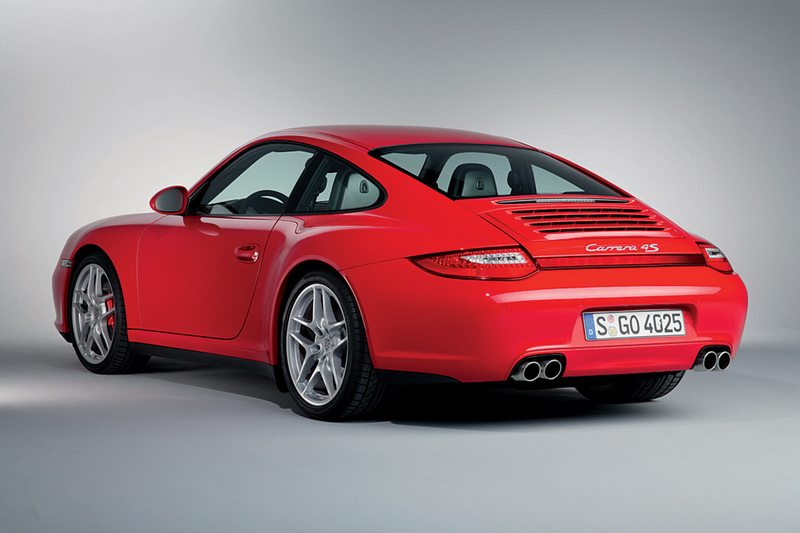 Featured as standard on the Carrera S models and available as an option on the “basic” versions, Porsche Active Suspension Management or PASM for short has been further refined for the new model generation, giving the new 911 even greater smoothness combined with the same dynamic performance and response as before. The new sports suspension available as an option lowering the entire vehicle by 20 millimetres or 0.79” is now based on this active suspension technology, improving performance in both sports motoring and everyday use. The new 911 Carrera features upgraded, high-performance brakes ensuring superior stopping power and short stopping distances under all conditions. The brake discs now measure 330 millimetres or 12.99” all round and come on the 3.6-litre models with new brake callipers. PSM Porsche Stability Management now also comprises the Brake Pre-Filling and Brake Assistant functions previously available only on the Carrera 4 and the Turbo to ensure even faster and more powerful brake response whenever required. Story by Dr. Ing. h.c. F. Porsche AG. fuel capacity 67 litres or 17.69 gal.